A rocking Halloween for a hijab clad Malaysian in Leeds. A review of her first live gig in the UK, and how 2 American bands performed in the cold north of England. On Halloween night, I survived the cold winter night and possibly the roaming English ghouls in Leeds to watch two of the most unsung contemporary rock heroes from America, The Walkmen and The Black Keys. 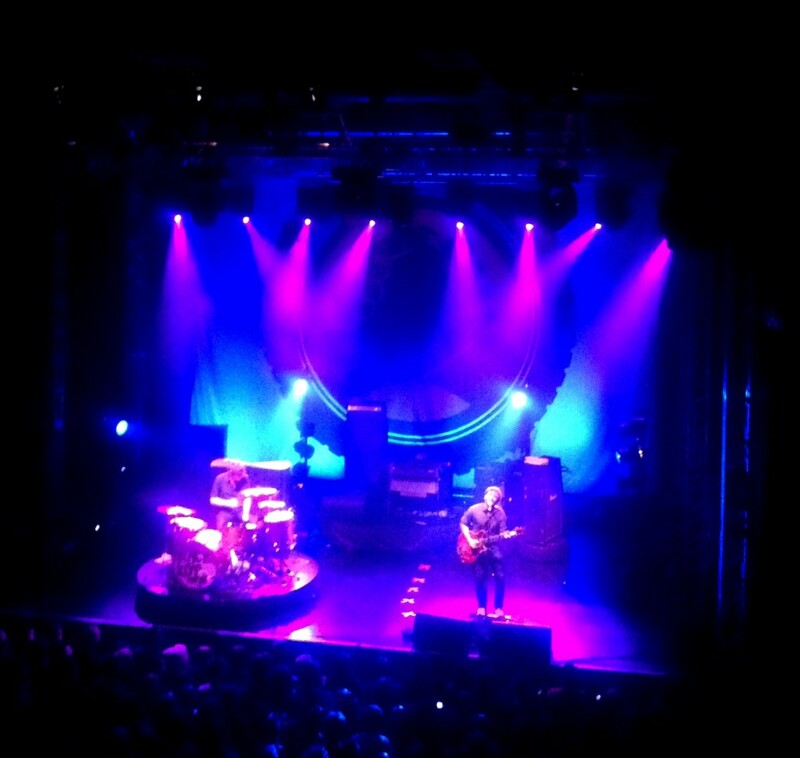 This was also my first time experiencing a live gig in one of the music venues in the U.K, the O2 Academy. The venue reminded me a bit of the Bentley Music Auditorium in Mutiara Damansara, Kuala Lumpur but with balcony seating and perhaps a more performer-audience intimate ambience. 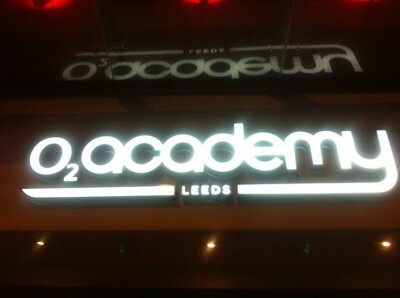 In general, the O2 Academy is sponsored by the owner of the O2 Network in the UK, Telefonica Europe. The music venue can also be found in other major cities such as Sheffield, Glasgow, Birmingham, Bristol and Liverpool. It is unsurprising that UK boasts a diverse and broad range of gig venues since UK is one of the well known capitals of rock music in the world; be it for the homegrown or international acts. In other words, one of the best places for an ardent music lover like me to be at the moment. My first live music experience was in 2005. I remembered how at first, I was uneasy with the idea, considering how in some cultures live music, especially in the company of genres like punk or heavy metal is stereotyped as immoral and not befitting for a practicing Muslim like me. Such narrow perspectives proved to be more unhelpful for me as I, in fact, wear the hijab. But the more I attended rock concerts and witnessed my favorite bands performing all out on the stage, the more convinced and comfortable I felt about experiencing live music and to do so as myself: hijab and all. To me, music is a beautiful and rebellious representation of the complexities in life. 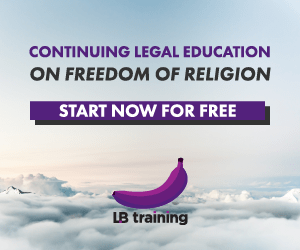 Nowadays, wearing the hijab could be easily misunderstood due to attempts of essentialising it as a symbol of religious oppression or conservatism. 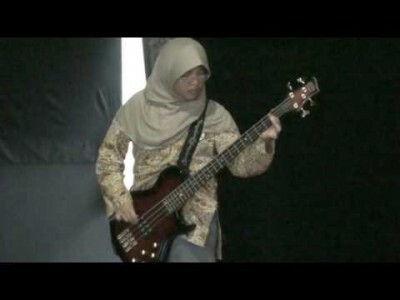 I say more hijab donned rock lovers should go to rock concerts. The Black Keys is a blues rock band from Akron, Ohio. The duo consists of Patrick Carney – the band’s producer and fierce drummer – as well as Dan Aurbach, the lead singer and guitarist. The Black Keys churned soulful but hard gritty rock sound in the tradition of Muddy Waters or The Jimi Hendrix Experience. The Black Keys aren’t really music inventors. They revive the blues rock sound but with enough zest and originality to supersede other similar attempts, such as the White Stripes, that more often then not, was compared to the duo. But then again, who said you can’t carry a familiar tune and own it? There is an identifiable soulful pattern to how Carney and Aurbach craft their songs but it does not lead to a boring formulaic result. I believe another critically acclaimed side project of theirs, The Blackroc, was an extension of this quiet ingenuity. Don’t join the Set You Free bandwagon (their track that was featured in the film School for Rock) in order to develop any sense of interest or liking of the band. Start from The Big Come Up and you will understand why. The Walkmen on the other hand, are to a certain extent, the unfortunate victim of The Strokes fever. They were part of the New York underground music scene that in the early 2000s was dominated by the rise of the garage rock bands. However, this does not mean The Walkmen is undeserving of any attention. Their distinctive melodious haunting songs and Hamilton Leithauser’s unique voice create a different niche for their sound amidst the garage madness during that time. Their debut, Everyone That Pretended to Like Me is Gone earned comparison to the likes of The Cure and U2’s early works which although flattering, does not really illustrate The Walkmen’s true talent. The Walkmen’s rare ability is to create vintage atmospheric sound that grows on you with repeat listening. Take In the New Year, or You’ve Been Had, two of my favourite tracks from their later albums, as examples. These songs are tales of angst that seemed to resonate different melancholic themes every time I play the tracks. At the moment, their new album, Lisbon is winning the critics’ hearts. So, how did these unsung heroes of mine fare on that ghoulish night? I booked for a seat at the balcony for a very specific reason – I wanted to see Aurbach skillfully woo us audience with his solo riffs and chops with minimal intervention from the mosh crowd. And that was what he did. In fact, I now believe, to appreciate The Black Keys more you have to see them perform live. Each song was skillfully and passionately delivered that you didn’t realise at all that the gig was near ending. The Walkmen on the other hand, could have sounded better if Leithauser’s voice was not drowned by the drumming during some of the tracks. That was a shame because Leithauser has a Dylanisque quality to his voice that I was hoping to savour more during the live show. My favourite performance of the night for The Walkmen would be Woe is Me and In The New Year. 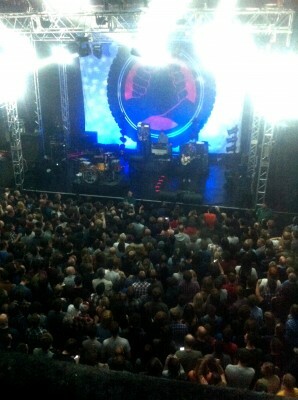 As for The Black Keys, can I say every single one of it? All in all, I can truly say that the gig yesterday was indeed a delicious appetizer to my other future rock concerts in the United Kingdom. I can’t wait to catch Arcade Fire next, in SECC Glasgow. See you there! Shazeera hopes that her sharing of gigs abroad could contribute to the “soft advocacy” for more rock concerts in Malaysia. She sees no point in banning concerts when the general Malaysian population can still watch it on hourly basis through YouTube or buy music CDs from the Rock Corner outlet. Hidup Rock Corner! The Guardian Online: Hijab wearing women rock! Posted on 12 November 2010. You can follow any responses to this entry through the RSS 2.0. Wee: Hi there and yeah, I like Yuna's songs and thanks for the link! Check out Yuna, a UTM law student ? Yeyah radioD by myconsti!!! Good music review – are we going to see more?